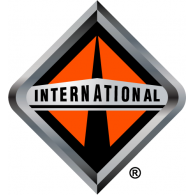 M & R Fleet Services, Inc carries International Parts and more at our Beaumont location, but our Texas City has parts available. All our parts have a 1 year warranty, and we have a huge selection in stock. Call us for a quote or submit the form below. Let M & R Fleet help you with all your medium and heavy duty truck and trailer part needs. If we don't have it, we will do everything we can to find the part you need and drop ship it to your door with overnight shipping available, too. M & R Fleet Services, Inc keeps a huge inventory of parts at the Beaumont location including International, Fleetrite, Cummins, Silverback parts, and more. Cores and parts must be returned in original Box within 10 days to receive credit. No returns on electrical or special order items. Restocking charge of 15% will apply on all other returns. Must have original invoice to return part.